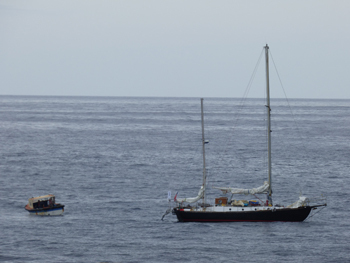 News and photos of recent yacht visits to the world's most remote community. Was the traditional cry when a sailing vessel was sighted off Tristan and the prospect of trade created excitement in the village. 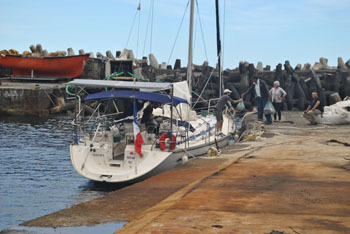 Today Tristan is a popular port of call for the few intrepid yacht crews that brave South Atlantic waters. 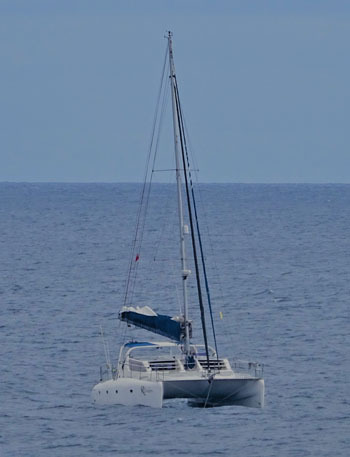 This page highlights recent vists by yachts. If you are thinking about yachting to Tristan, please read the Information for Visiting Ships and Yachts first. You will be made very welcome, but you should not just arrive without prior notice. Yacht Jonathan joins two other March 2019 arrivals. 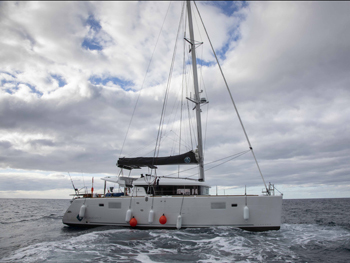 The French catamaran Maitai called at Tristan on 8th March 2019 en route from Salvador, Brazil to Cape Town. 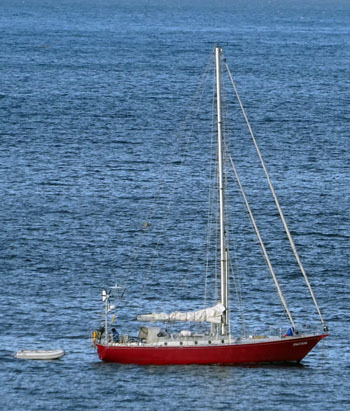 The yacht Endeavour stopped at Tristan between the 18th and 21st February 2019 en route from Uruguay to Cape Town. 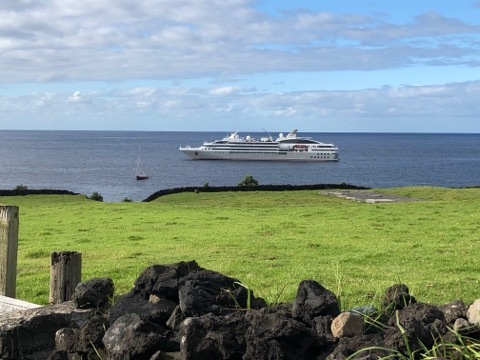 The yacht Ronin called at Tristan on the 28th January 2019 on its way from St Helena to Cape Town. A yacht was found moored in Calshot Harbour on the 4th January 2019.